Your body language impacts how other people see you. While most applicants are aware of their body language, a few are not. Did you know that in a job interview body language plays a big role? Job seekers rest their fate on how they behave, without even knowing it. The inability to make eye contact, a limp handshake, or sloppy posture might kill your chances of winning the job. This article lists examples of good and bad body language in job candidates. We hope by heeding what and what not to do, you’ll master how to impress in interview settings. Why is body language important in an interview? Whether you like it or not, body language can make or break your career. Therefore, you need to express yourself properly in an interview to succeed in your job search. 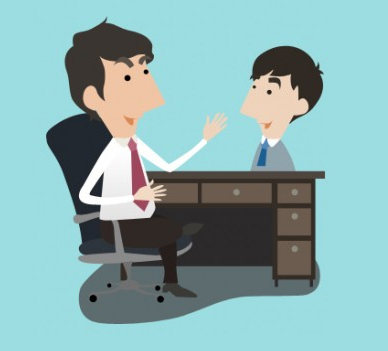 Have you wondered what the proper body language during job interview is? Always nod and smile to show your pleasing personality and your interest. Smiling is also a good ice breaker since it helps you relax. Later on, building rapport with the interviewer becomes much easier. Why is eye contact important in an interview? If you can’t look them in the eye, interviewers may think you’re being shy or uninterested. Hence, always look at the person speaking to you. Try to hold eye contact for a few seconds at a time to show you’re engaged in the conversation. Strive to look confident; sit upright and lean slightly forward. This shows the hiring manager you’re confident in what you are talking about. And since this shows you being comfortable with yourself, this also allows your counterpart to be comfortable with you. You can immediately be on good terms with your interviewer by matching their positive body language without being obvious. Try to adjust your posture, tone of voice, and facial expressions to match theirs. This is a well-known strategy to build rapport. By doing this, the interviewer feels more comfortable around you. Always be aware of your body’s position. Keep your posture perfect. Slouching makes it difficult for you to breathe, so keep your spine straight, with your shoulders pulled back to avoid slumping. Remember, your interview is not a recital. Just state your skills, experiences, and accomplishments, and how you can bring value to the company. Don’t touch your face too much. People touch their faces excessively and without conscious thought. Playing with your hair or touching your nose too much can make you look not only unprepared but also untrustworthy. Thus, you must be conscious with where your hands are during the interview to leave a good impression. Body language is important, but worrying about it a little too much may affect your performance. Your main goal is to impress the employer with your skills and experiences. Yes, taking note of the job interview body language is important. However, you’ll also need a powerful resume showcasing your strengths and skills. Is your resume optimized and ATS-friendly? Or do you need a hand in writing it for you? As a professional resume writing service provider, Resume Valley has you covered. Contact us now to help you get hired fast!